You are at:Home»News»Highest pork production since 1999 in 2018? This follows from modest expansion in the UK breeding herd this year, due to improved producer profitability. Continual improvements to sow productivity, though possibly smaller than in recent years due to reducing antibiotic usage, should also support throughputs next year. With carcase weights currently trending well above year earlier levels, and further increases anticipated next year, production could be bolstered even further. As such, the latest AHDB pork market outlook anticipates that UK pig meat production could reach 924.9 thousand tonnes next year. If realised, this would be the highest level since 1999. On top of this, imports are expected to increase modestly, following continual growth in shipments of processed products. 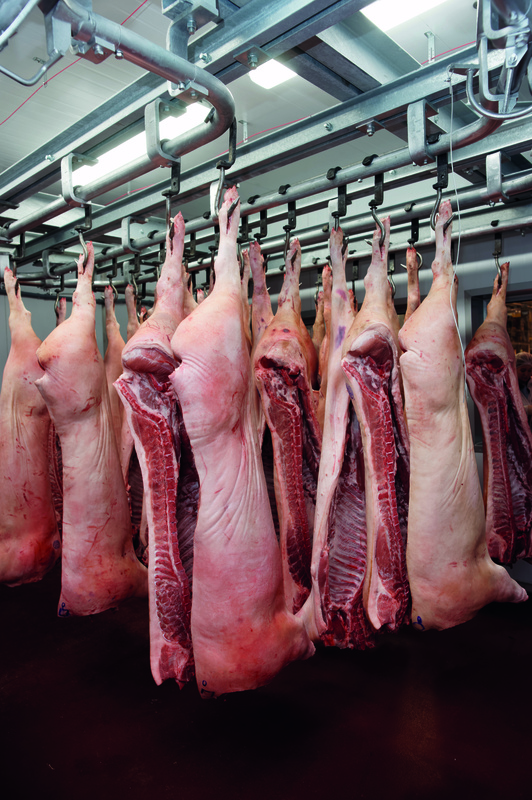 Equally, more pork may be available on the EU market, as modest expansion in the breeding herd could drive an increase in production on the continent. As EU exports to China are expected to remain challenged next year, this could apply downwards pressure to the EU market and therefore increase the incentive to export to the UK. Nonetheless, in the UK, rising production is expected to support our export market, as volumes were constrained by tight supplies earlier in the year. UK pork exports to China have continued to grow this year, despite the market becoming more challenging. This suggests demand for UK product is favourable, and so volumes shipped to China and other growing destinations may continue to expand next year. Ultimately, however, supplies on the domestic market are expected to increase next year. This could lead to more challenging market conditions. However, this will depend heavily on the global market situation and how domestic demand develops. The most recent Kantar retail data for the 12 weeks ended 8 October shows some recovery in pork consumption volumes compared to year earlier levels. While tentative, perhaps this could be the beginning of an improvement in pork consumption domestically. If this continues, it may help the market absorb some of the extra supplies available next year. To read the latest AHDB pork market outlook, click here.